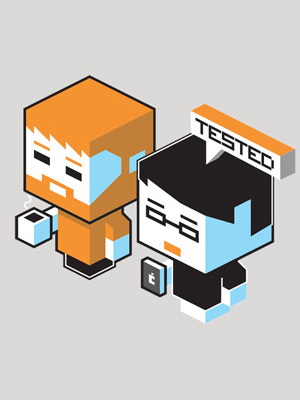 By Ryan Whitwam on June 25, 2012 at 9 a.m.
Platforming, news reading, and invader saving. This week there is a beautiful platformer, a much hyped news reader, and a puzzle game from a top Android developer. Even the most steadfast Android users couldn’t miss the rising cries of elation coming from the iPhone camp as Flipboard blew everyone’s mind last year. Now comes the time for your own mind to be blown... or not depending on how much you like eye candy. Flipboard, originally on iOS and once a Galaxy S3 exclusive has reached the Play Store. At its most basic level, Flipboard is a news reader. It just happens to be the most attractive news reader to ever be forged by the hands of man or gods. The app uses your social data to pull in links and build a magazine about all the things going on in your world. If you don’t want to use the social stuff, there are more general headlines you can subscribe to in a number of categories. The main page has various featured stories, and some of the content hubs you’ve chosen, including perhaps Twitter or Facebook. Tap on any of them to start reading. You navigate Flipboard by dragging upward to flip through the virtual pages. The effect is very well done, and I’m finding myself flipping through stores after I’ve already decided to stop reading. It’s just fun. You can tap on any story in Flipboard to get the full text, or as much of it as Flipboard could pull. I have to say I’m impressed that stories open in a paginated view with that same flipping motion. It would have been easy to make the built-in browser much more generic, but it’s just as great looking as the rest of the app. There are a few home screen widgets, but they’re not all that functional. Each one will show you a featured story from your Flipboard with a nice picture. Tap on it to open the main Flipboard screen. The widget will auto-refresh, but you can’t even scroll through stories. The search interface makes up for this a little with easy access to your various hubs, top content, and more right next to the search box. Flipboard is the most attractive news reader I’ve seen, but it’s probably not the most efficient. Something like Pulse can give you a better overview of the news at a glance. Flipboard really is more like a magazine in this way. You sit down, flip through the pages, and read leisurely. 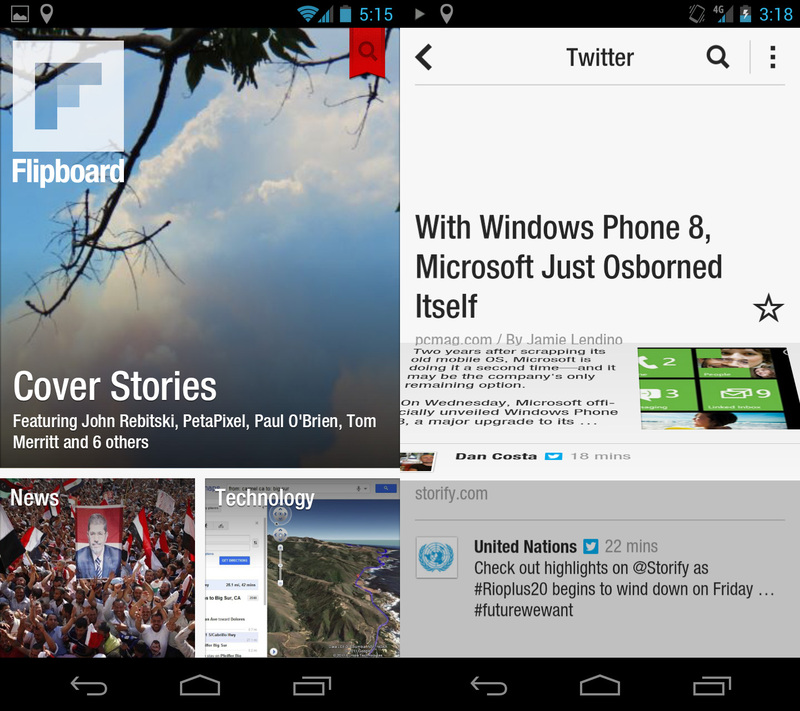 Flipboard for Android is launching without tablet support, which is vexing. This was originally an iPad-only app, after all. It should work on just about every phone, though. The app is free, and you should give it a shot. 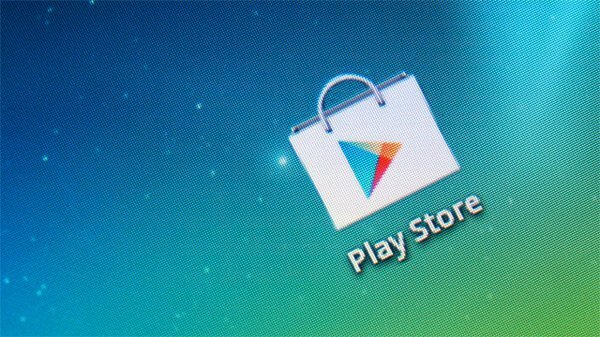 You can find platformers all over Android -- they’re one of the most straightforward game types to build. A ledge here, an enemy there, and you’re done. To make a platformer any good, it needs to have something unique. It has to stay fresh jump after jump. Oscura does that in part because it’s very, very pretty. As it turns out, it’s a very good technical game as well. 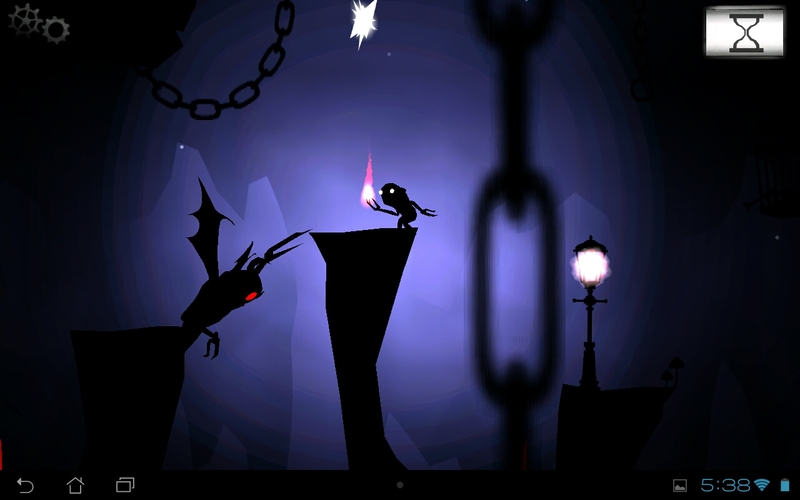 In the bizarre land of Oscura, the lighthouse’s power crystal has exploded, plunging the world into darkness. The Dark Creatures have taken advantage and now infest everything. You have to wander the realms as a tiny, shadowy imp to collect the shards and gears from the lighthouse to restore the light. The 2D jumping is the main game mechanic, but the backstory affords you some more abilities. The controls are very interesting in Oscura. You can press on either side of the screen to walk in that direction. Tap on the opposite side, and you will jump. I thought it would be confusing at first, but you get used to it fast. To jump while standing still, tap on both sides. At any time while jumping, tap a second time for a double jump. What I really like about this control scheme is that it works well on phones, and especially well on tablets. You don’t have to reach for a thumbstick, or worry about buttons being spaced oddly. You can turn on standard button controls, but don’t bother. As you collect the shards, you build up reserve of energy to slow time. A simple swipe across the screen will toggle the time dilation effect. This is used to navigate some of the more challenging sections of the game, and to grab some power ups that would otherwise vanish before you got to them. There are also plenty of giant Dark Creatures to dodge. At the end of each level, you get a score based on how many shards and gears you managed to pick up. You have unlimited lives, but will start over at the last checkpoint each time. Longer times mean fewer points. There are 12 levels in Oscura, so it’s definitely not a long game. You could probably knock it out in an evening. 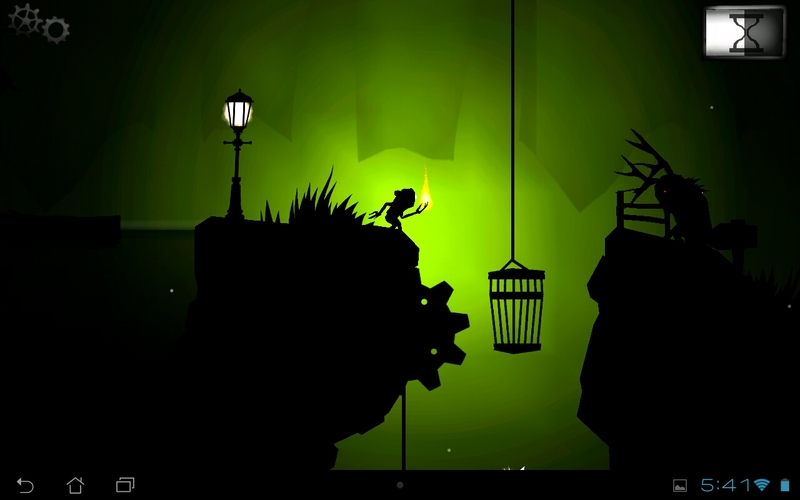 The graphics in Oscura are not complicated, but they are stunning. Most of the game is negative space. Your character, the enemies, and much of the terrain are pitch black. The background and a number of foreground elements are vibrantly colored to really set off the darks. This game looks phenomenal on a screen with good black levels, like AMOLED. I also really enjoy the crazy design of the Dark Creatures; they lurk just outside your sphere of light, all glowing red eyes and spiky appendages. Oscura is selling for $1.99, and while I’m still satisfied with the quality of the game, it’s maybe a little expensive for a shorter game. Still, what there is of it is amazing. Just buy Oscura. LevelUp Studio is responsible for some of my favorite apps: Beautiful Widgets and Plume for Twitter. The developer’s first foray into games has finally arrived, and it’s called People for the Ethical Treatment of Invaders, or Peti for short. This is a puzzle game that, at first blush, looks like a Tetris clone, but that’s definitely not the case. In each level, you have a number of alien invaders spread about the screen. Each one has a color, and that is the key to getting them rescued. 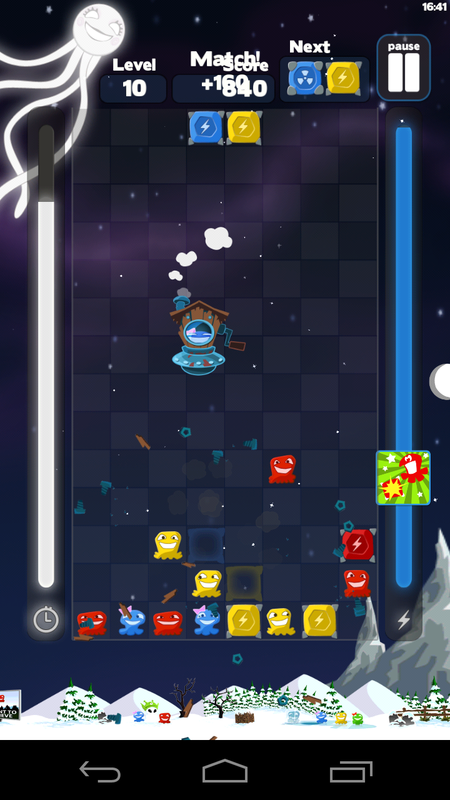 As the blocks fall from the top of the screen, you have to match three of them with a like colored alien to clear it from the board. Additionally, four blocks can be cleared for some extra points. Tapping the screen will rotate the 2-block units that slide down the board. Tap and drag to position them left and right, and swipe downward to drop them faster. The game paints colored shadows to let you know where the blocks will land when dropped. Unlike Tetris, you have to carefully plan every move. It’s tough to fix mistakes once you’ve made them. You’ve only got a limited amount of time to complete each stage. If you haven’t cleared out all the invaders when time runs out (as denoted by the bar on the left side) you can still pass the stage if most of the invaders are safe. I was growing concerned over the first few levels that the game would be too simplistic in the long run. Just about then, Peti starts adding new game elements like multi-colored blocks that can be used to clear several lines at once. The game also gives you access to a number of special powers that keep things nice and interesting. The levels are randomly generated, so you might get a really tough arrangement in a stage. If you can't figure out a solution, you can restart with the hope of a winnable scenario. This is a free game, but for $0.99 you can upgrade to a pro version. This will expand the list of available special items and powers somewhat. You’ll have an easier time beating levels as the difficulty ramps up if you upgrade, but I think it’s still perfectly playable without the in-app purchase. The best way to describe the graphics in Peti would be “cute.” The invaders look neat, especially when they pack up in their spaceships and rocket off the screen. It’s simple, but very clean. I haven’t encountered any bugs or slowdowns yet, but LevelUp does have a predictable pattern of solid apps. You can get a lot of mileage out of Peti without paying anything, but you should consider it if you like the game. I’ve been finding myself playing out Peti scenarios in my head since I started testing it. That speaks volumes about how compelling it is. That's all for the Roundup this week. Drop me a line if you find the next big thing, and sound off if you have strong feelings about any of these apps.